The human body requires air to function. The heart pumps blood into the lungs, which are gas exchangers. Acting like a bellows, they absorb oxygen and give off carbon dioxide. The term "respiration" refers to this chemical process. We think of it as breathing. 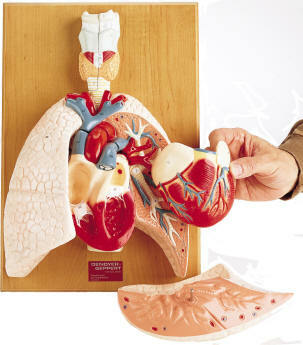 Our anatomical models are arranged across two pages. 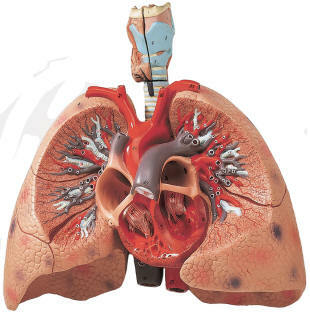 The first deals primarily with the overall function of the respiration system and the second emphasizes the lungs. There is overlap, so check them both out.